One of the four Melbourne City tourist shuttle buses that have been repowered with Cummins ISBe5 engines. Driver Bus Lines has repowered four of its buses with Euro 5 technology Cummins ISBe5 engines for the Melbourne City tourist shuttle. Cummins’ latest emission ISBe5 engines have replaced Caterpillar C9 units in Driver Bus Lines’ four buses used on the Melbourne City tourist shuttle – a service that operates eight hours a day, every day of the year. Euro 5 emissions technology and lower running costs – especially in the area of fuel economy – are behind the company’s choice of the 6.7-litre ISBe5 rated at 265 hp. Driver Bus Lines has been operating the Melbourne tourist shuttle with four Denning buses since 2007 and recently secured a five-year extension of the contract. “We knew we had to offer a low-emissions engine solution to secure the contract again, and we also wanted better reliability and lower running costs over the contract period and beyond,” says Peter Sinclair, national maintenance manager for the Driver Group. Driver Bus Lines is a long established business dating back to1931 when brothers Eric and Reg Driver built their first bus, a seven-seat Pontiac, and began operating in Melbourne’s eastern suburbs. Today, the business – now known as the Driver Group – is still 100% owned by the Driver family and operates under four trading names – Driver Bus Lines, Driver Coastal, Gray Line and Great Sights. The fleet is made up of 122 buses and coaches that provide route services, school runs and school charter, sightseeing and tours. 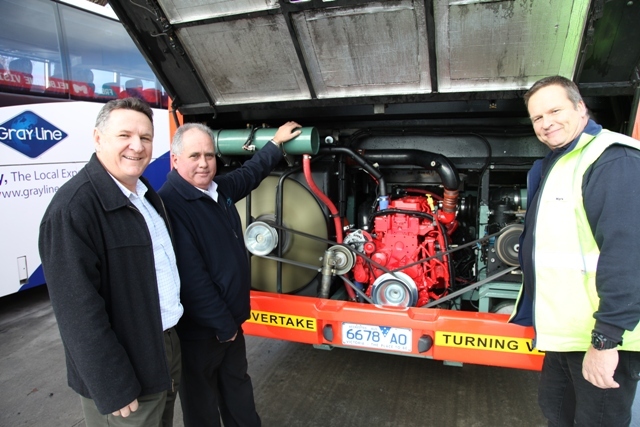 Cummins bus and coach business manager Chris Bowerman (left) with Peter Sinclair, maintenance manager for the Driver Group, and Driver’s Mt Waverley workshop manager Mark Dyble. Denning is the preferred brand in the Driver Group. “Our preference is for Australian designed and built vehicles with an American driveline,” says Peter Sinclair. 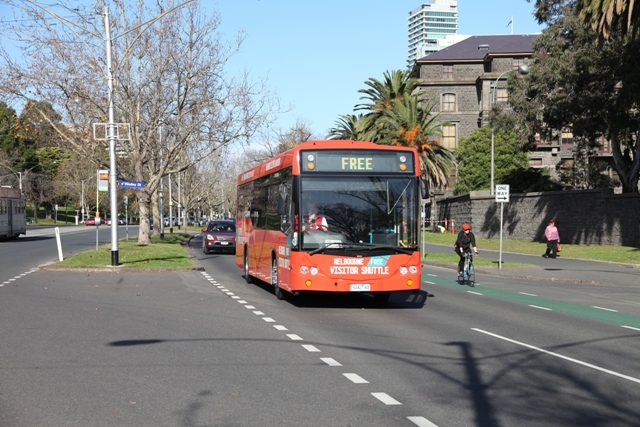 Driver Bus Lines’ experience with the ISBe5 engines to date on the Melbourne City tourist shuttle is fuel economy of 39 to 43 litres/100 km which is in line with expectations. “Overall, we’re anticipating substantially lower running costs with the ISBe5 engines,” confirms Peter Sinclair. He points out there are no complaints with performance either, with drivers reporting they accelerate well. The ISBe5 uses selective catalytic reduction (SCR) technology for Euro 5 and ADR80-03 emissions compliance. In simple terms this technology means dosing the exhaust with a urea solution for emissions reduction.